When I was little May Day was magical. It seemed like it was the day the promise of Spring was met and the time of warmth was called in. I recall sneaking in and out of neighbors yards picking rhododendrons, daffodils and peonies to make into little bouquets to leave on the porches of strangers. The magic of these little gifts, collected stealthily by me and left for people that could never thank me made me giddy. I remember vividly the excitement that grew everyday of April as the flowers began to bloom and the days lengthened in earnest. As spring progresses into summer here, I’ve learned that there are flushes of wildflowers that mark the sublte changes of the seasons outside of the realm of the calendar. The fireweeds flush in June just before the foxglove. And the the hardhack in August along with Goldenrod, and followed by Tansy. By September pearly everlasting has surely made its puffy appearance. The roadsides are covered in St. Johns wort near Solstice. Wood violets bloom in early March as do the trillium. Cultivated daffodils are the first hit of color I see when the weather is still a bit cold. And the blooming of the wild cherry tells me it time to plant to garden. And when the the trees have truly greened the land is covered in a swath of yellow dandelions than can make a person gasp and soften the heart of the most dedicated weed-hater. On sunny afternoons I gather the buds and pull the tender yellow petals from their bitter green bracts and brew a small batch of dandelion wine. 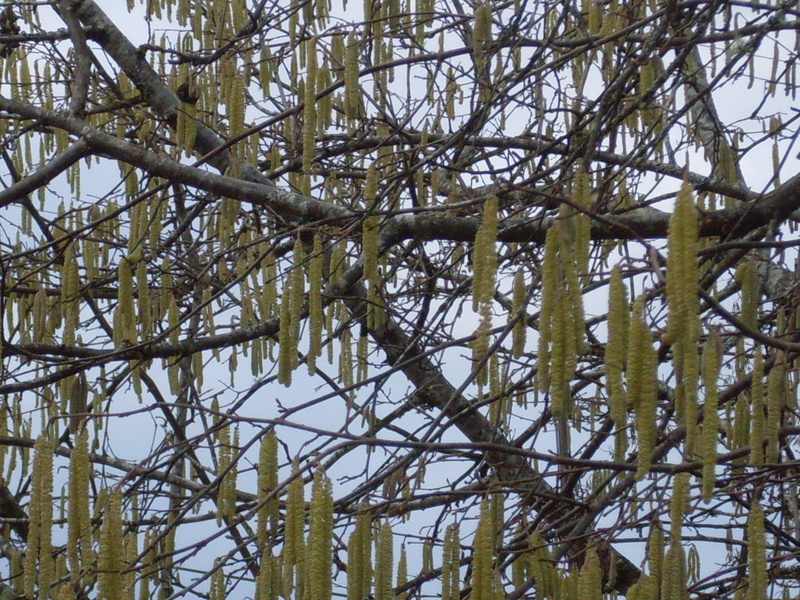 I pick buds and make them into sour pickles , I add tender green leaves along with pulled apart flower buds to salads and I watch my daughter chew on the flower ends and then squirm as the bitter taste hits her tongue and the yellow pollen coats her cheeks. My yard and this Valley are covered in a blanket of small fuzzy flowers. It has been a mild spring and warm weather has brought the flowers a bit early, everywhere I look they broadcast their sunny message and let me know that that spring is indeed here. To begin, I made a soup, sweetened by the natural sugars found in organic or home grown acorn squash and made creamy with a “healthy” portion of cultured cream cheese. Topped with roasted squash seeds, its a savory treat on these chilly early spring nights. Heat oven to 350 degrees. Clean off all squash remnants from the seeds by soaking in a bowl of water, when clean place all seeds on a single layer on a clean kitchen towel and dry. Add a tablespoon or so of butter to a cast iron pan and saute with a bit of salt until the seeds are lovely and brown. Place pan in oven and cook for 15- 20 minute or until seeds are crunchy and delicious, serve on soups, salads or just eat them as is. Another perrenial favorite is a quiche made with the sweet green tops of early spring nettle, eggs from my hens and deliscious organic cream and cheeses over a seedy crust of flax and sesame, eliminating grains and ensuring it is gluten free. Saute onions and nettles until soft and wilted. In a bowl whisk cream and eggs and saffron. In pie crust layer cheese on the bottom cover with nettle/onion mixture and pour the custard over it all. Arrange tomatoes on the top and bake for 10 minutes at 400 degrees, reduce heat to 350 and bake additional 20 minutes or until the quiche is set. Serve with a mixed wild green salad. I have a secret, one that I am often scoffed at for and hear sounds of disgust made by those who know it of me. I love organ meats! When I was 5 and before my family became vegetarian, we had some old time farmer neighbors in Iowa. They would often serve me up a portion of liver and onions and I relished it. I later wondered through all those years of vegetarianism why everyone complained about liver when I knew it to be delicious. My husband does not quite agree with me so I find ways to incorporate it in his meals so he is not too offened by the taste or soft texture. This final dish is an example of how I really do try and add nettle to EVERYTHING this time of year. It also is a way I am able to incorporate beneficial pastured organ meats into our meals in a way where my husband doesn’t have to choke them down. Combine all ingredients in a bowl except grape leaves and broth. Using only the best and most intact grape leaves, lay them shiny side down and fill center with approximately 1 tablespoon of filling. Roll leaves as you would a burrito and lay them seam side down in a large oven proof pan. Continue until all leaves are stuffed. Barely cover with broth or water and cook in a 350 degree oven for 1 hour. If you have any remaning meat you can simply fry them in a little olive oil and eat like meat balls. Drizzle with sauce and serve! This a traditional sauce to serve with dolmathes. This recipe came from the owner of the house we stayed in while in Santorini on my honeymoon. So these are some of what I have been doing with this bounty from the forest floor. I’ve been feeding not only my heart and filling my tummy, but nourishing my adrenals and strengthening my liver and giving this winter-worn body a high dose of absorb-able vitamins and nutrients. Grab your gloves and if nettles have sprung near you harvest, fill your baskets and and let springs first gift fill your belly and strengthen your soul. 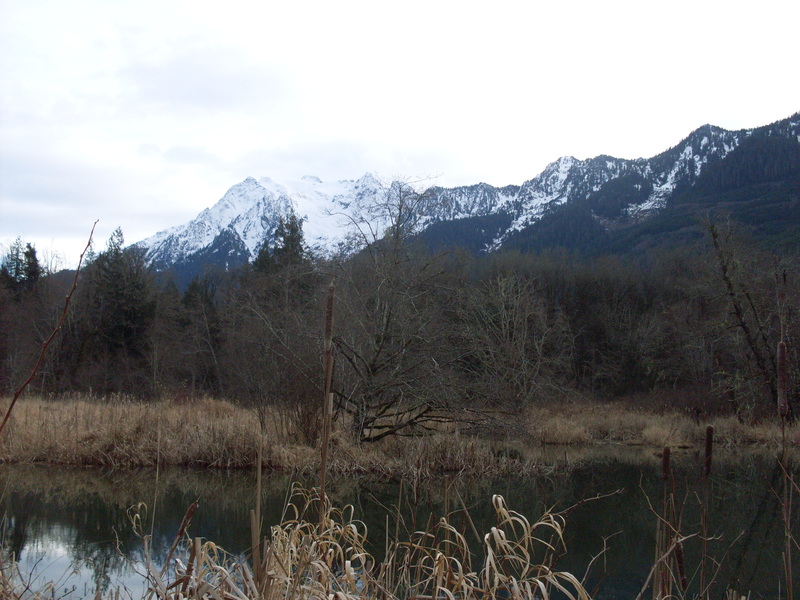 Herons that are beginning to roost. send thier eletric call over the pond. 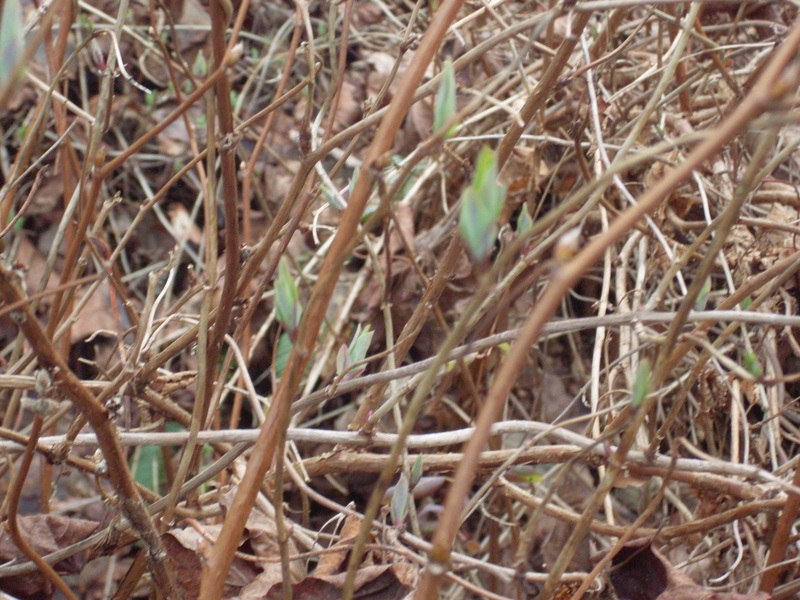 green rosettes of spring leaves. I was listening to an interview with Paul Bergner the other day and in it he discussed briefly ethical harvesting. 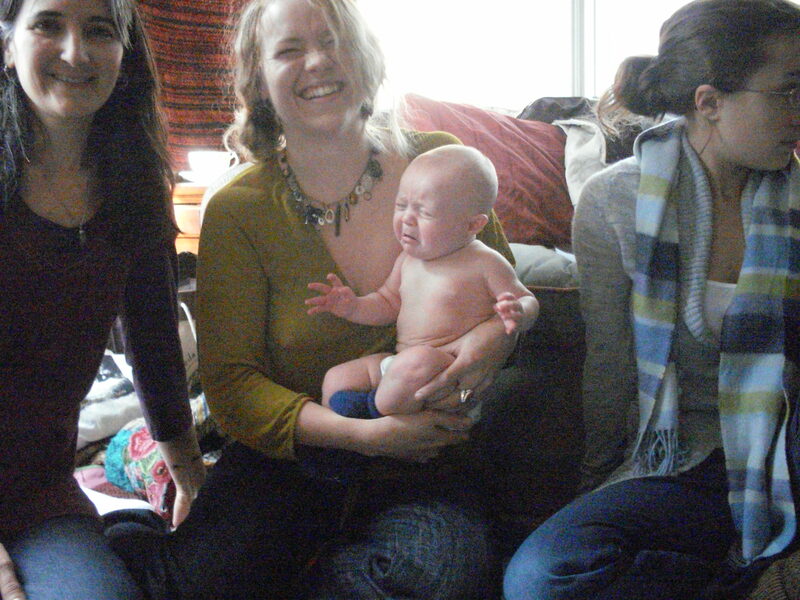 He’s a very emotional speaker and I love how often he gets choked up when discussing various plant encounters. His words on the subject were touching and inspiring. 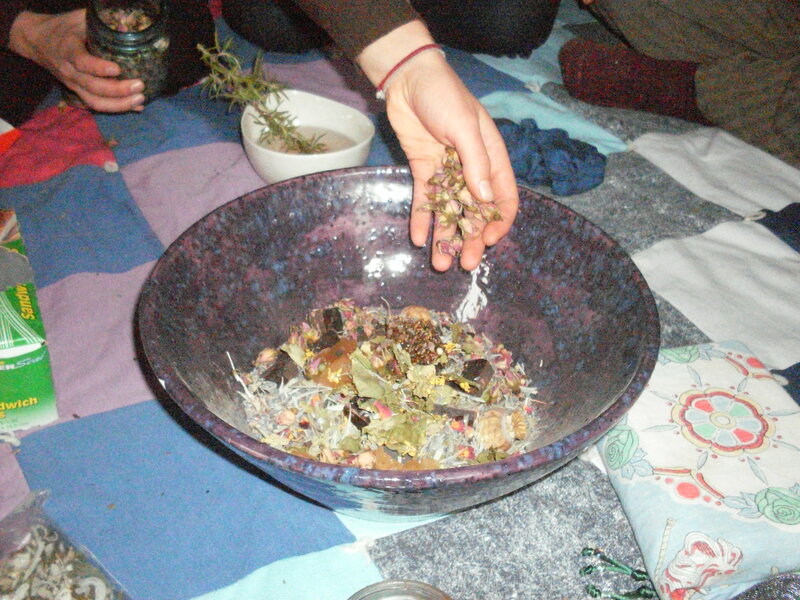 However, there was one aspect of the subject that I feel could be discussed in greater detail, it is the one thing that nearly all of my herbal trainings have failed to really discuss in detail and that is what “ethical wildcrafting” means on a technical and personal level. Many people use this term and many of us upon hearing it understand immediately what it means. 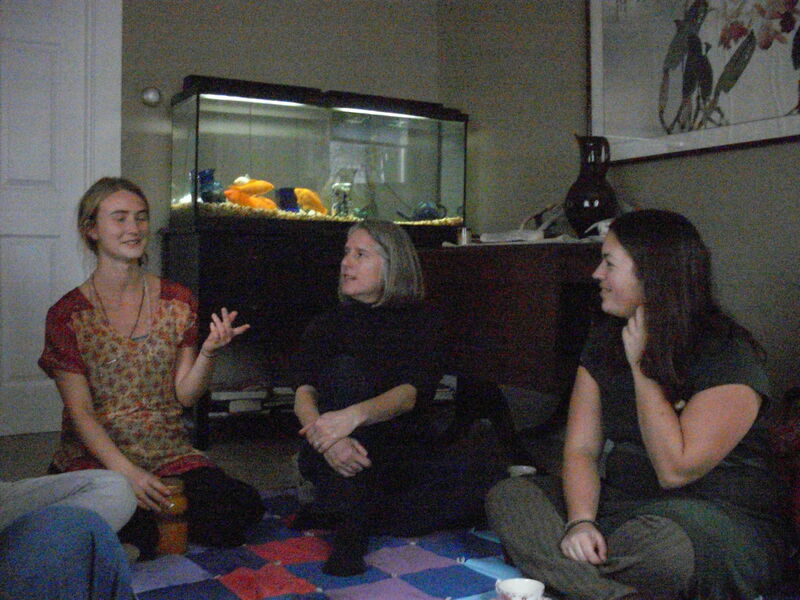 If we are coming to the plants for healing and teaching then it is only natural that we would respect them and bring with that respect a sense of what quantity we need when harvesting. Included in that respect is an immediate understanding that whether harvesting leaf, flower or root we are taking from the plant of its body. Though it may seem to give us the medicine freely, it is my conviction that the plant is always aware that its hard earned growth is being taken. We owe it to the plant to at least honor it by taking only what we need. The question then is “How much do I need?” Many of you that have been wildcrafting for sometime might be familiar with your needs at this point but I hope I can spare those of you who are not yet as experienced the trial and error process that I engaged in before feeling like I really had an understanding of what ethical wildcrafting meant to me. 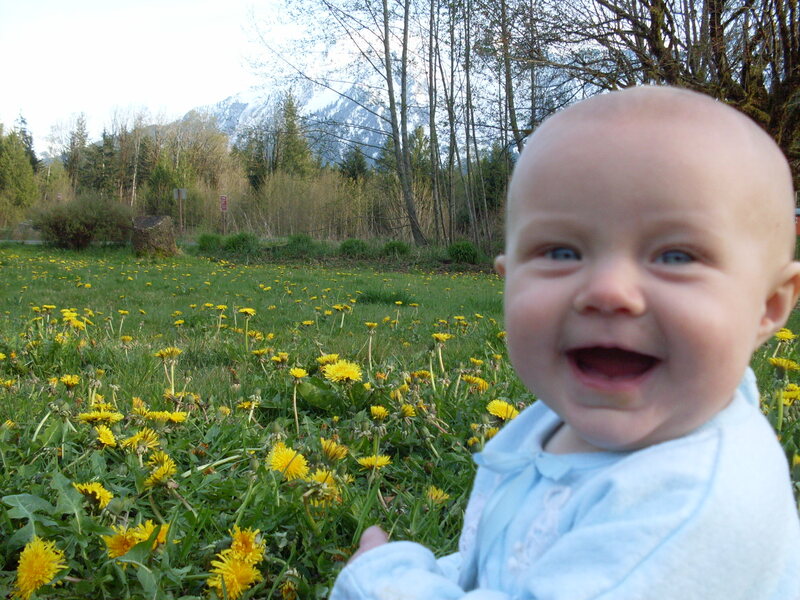 The first herb I ever wildcrafted was dandelion. I remember it vividly, it was early January and I walked out into my teachers garden with a small shovel. After she showed me how to wrest the root from the ground, it was my turn. The black soil of the garden gave way with ease as I used the blade of the shovel to cut a neat circle around the plant. One last push into the ground and I leveraged the plant, root and all out into the cold winter air. I picked up the plant and began removing all of the earth that still clung to it revealing a long white taproot the size of a carrot attached to the a green rosette of leaves. It was beautiful, it was magical, I was in love. 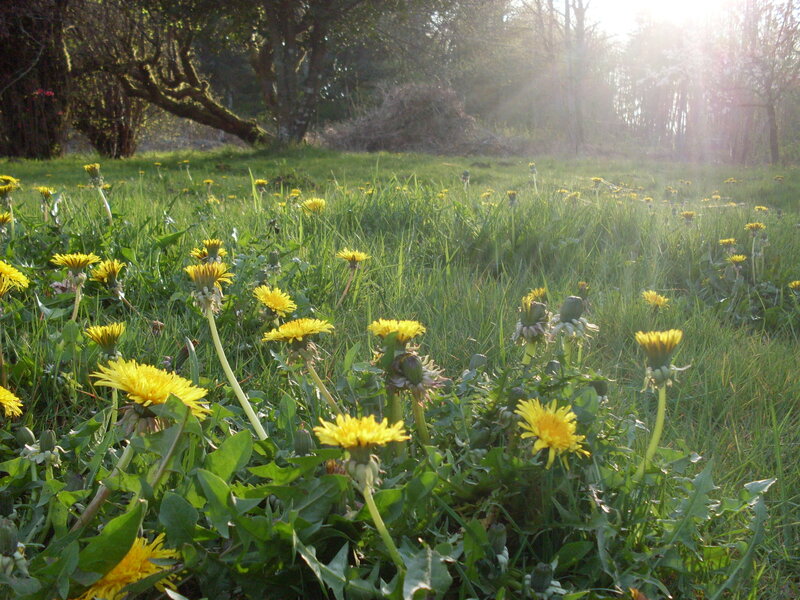 Food and Medicine it seemed now clear were all around, the often disdained plant of dandelion held a wealth of healing and sustenance and all I had to do to use it was dig. I was so excited by this experience I quickly went home and spent the next day gathering buckets of dandelion. I washed and chopped and carefully dried the many leaves. 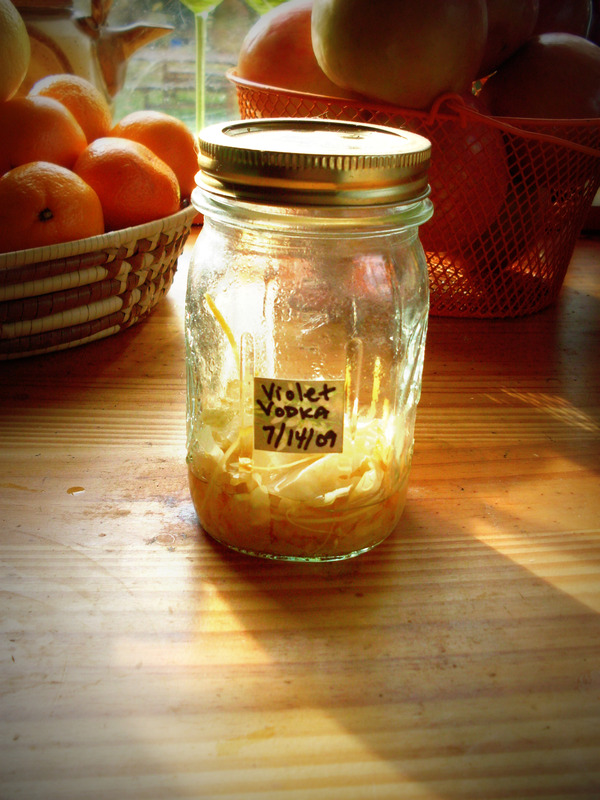 I filled five pint jars with carefully cut and packed root and poured vodka over them. I labeled them and put pretty stickers on the bottles and set them up on a shelf and thought they were beautiful. Can anyone see the problem here? When would I ever be able to use five pints of dandelion tincture? Unless I planned on making dandelion infused martinis (hmmmm?) what use would I or anyone ever get from all this medicine? 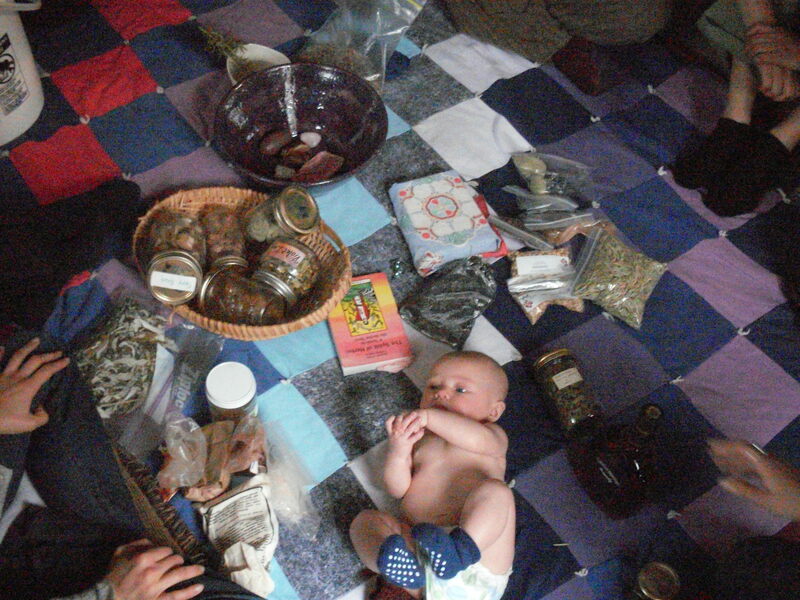 Of course I was new to herbal medicine and had no idea how things were dosed but still I could have guessed what would happen, yet nowhere had I really been given specific ideas of how much herb I would use. 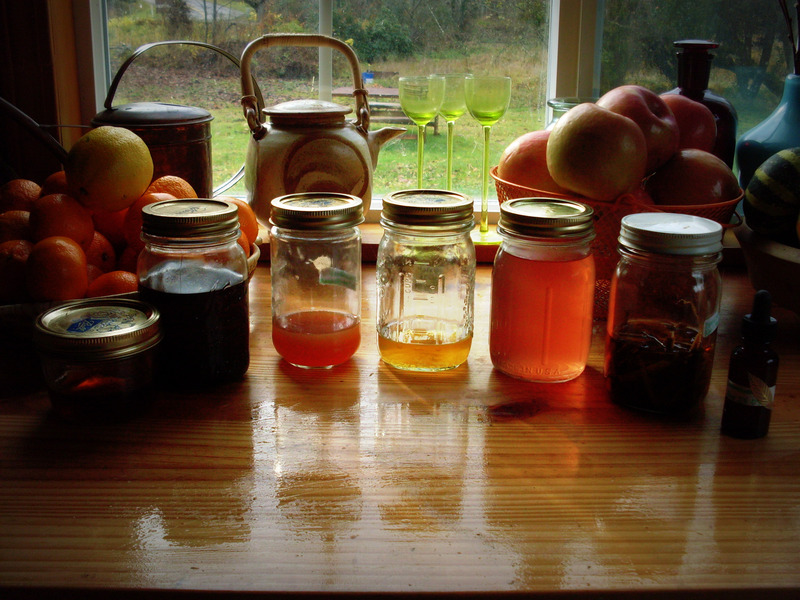 I soon realized five pints was far too many but I continued making my tinctures the standard way of filling a pint jar and covering it with menstrum and still have some remnants of old faded tinctures I made many years ago on my medicine shelf. The same is true of medicinal oils and god help me if I ever make another herbal vinegar (they are fabulous but I simply don’t use them.) 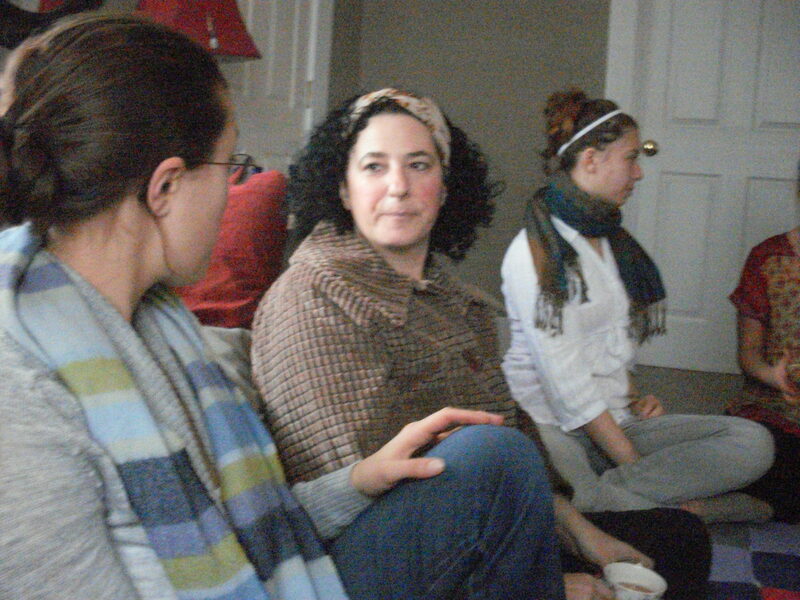 So the question I posed myself was “Is this ethical?” “Was my excitement in connecting with the plant overriding my right to take of it? 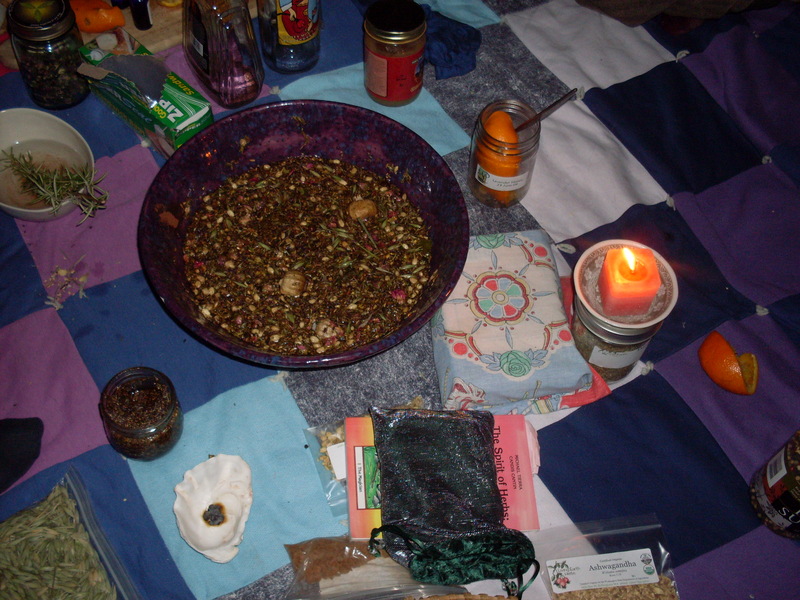 Even though I approached the plant with so much love and gratitude, even if what I took with me was a small portion of the total amount of wild growing plant, was it respectful and in line with my relationship with the plants if I took so much plant material that in the end was sadly composted or tragically poured down the sink? I think not. I think to really be in a relationship with the wild plant one must consciously put the effort into knowing how much they actually need or if they need it all. I feel and have heard from others that sometimes the only medicine you need from a plant can be gained from sitting in its presence with the intent to learn from it. I have often felt so drawn to a plant and have only recently begun deeply noting if the medicine I need is physical or spiritual. For instance, for many years I have been unduly attracted to Hawthorn, I never seemed to come across the plant when it was blooming or in fruit and yet I was hoping for its medicine. After doing some research seeing that it was only noted as heart medicine I realized that perhaps the medicine for me had been spiritual. Every time I approached the plant I was elated, I felt a clear sensation of being wrapped up in the arms of a lover and of as though I was transported to another time and place, is this how it was to give me heart medicine? 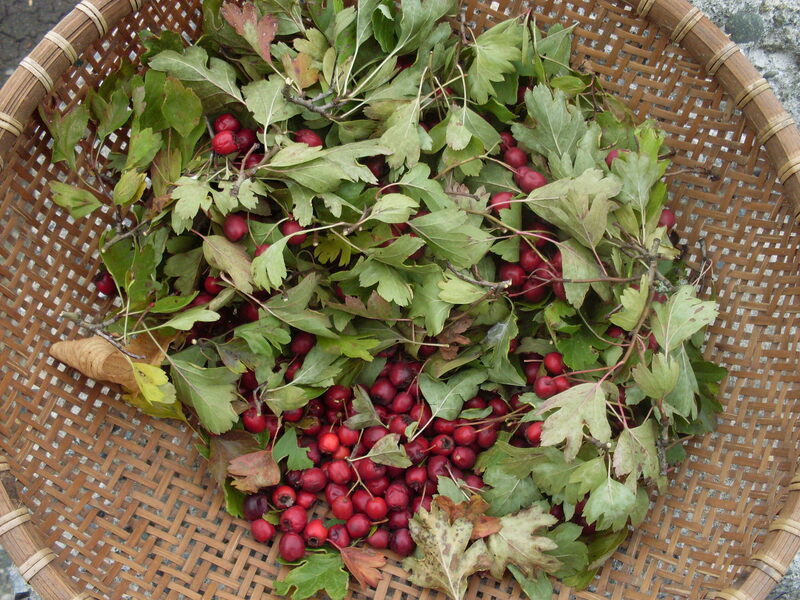 This year I hit the mother load of hawthorn. My eyes were constantly seeking them out, I would dangerously take my eyes of the highway when I spotted one hidden among the highway greenery, I’d see them in people’s yards and in fields and always those pretty gingko-like leaves sparkled as they blew in the wind and dull blood red fruits tinted the branches. One day, I finally stumbled on a patch ready to be picked and the welcoming for me to do so. I harvested a couple of cups and made Rosehip-Apple-Hawthorn Butter. Feeling finally the call to make it into medicine, I reserved merely half a cup and made it into tincture. 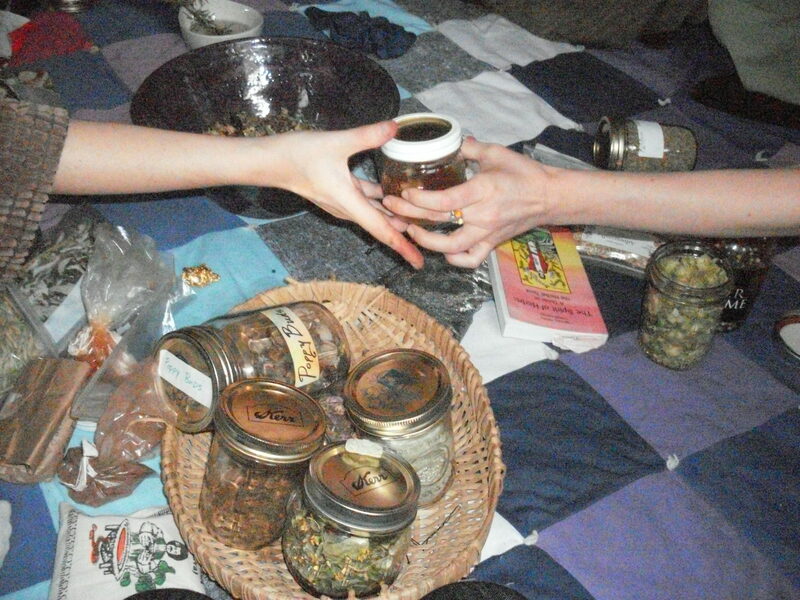 I felt clearly that seeing as I had no need to use the tincture as a heart medicine I would make a small amount this year and familiarize myself with it and then reassess my need next harvest season. I am finding it to be a soothing tonic for the emotional heart. I feel really good about this process and only regret that it has taken my this long to figure it out. I thought I might give to you some visual examples of how I base the quantity of medicine I gather now in comparison with my vaguely unaware consumption in the past. 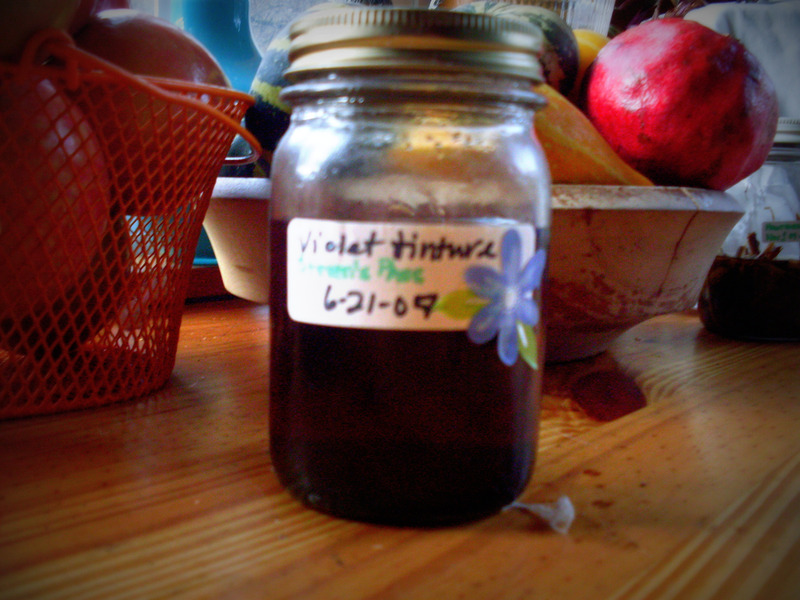 Here is pint of Violet Tincture I made three years ago. It is far more then I would ever use of this gentle headache healer in this medicinal form. 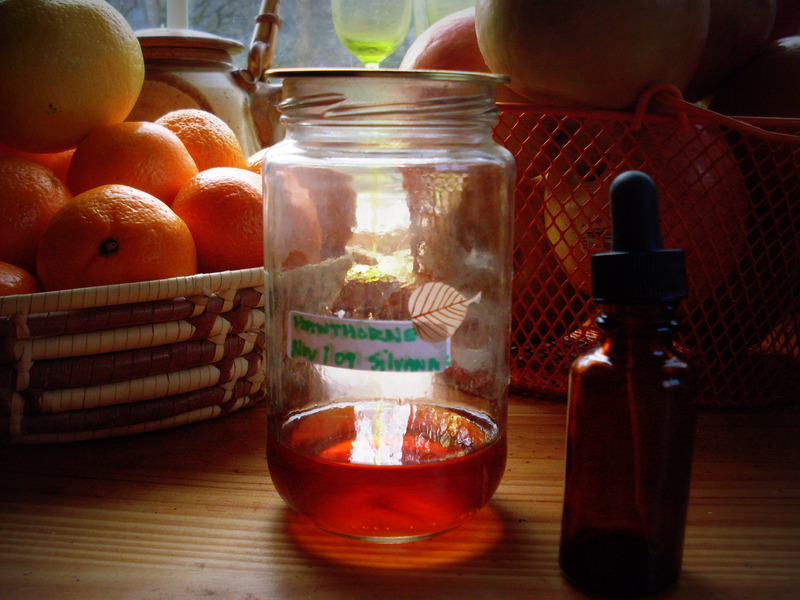 Below it is the batch of tincture I made this year after careful thoughts on how I made it in the past. My final suggestion when harvesting is to do the math. 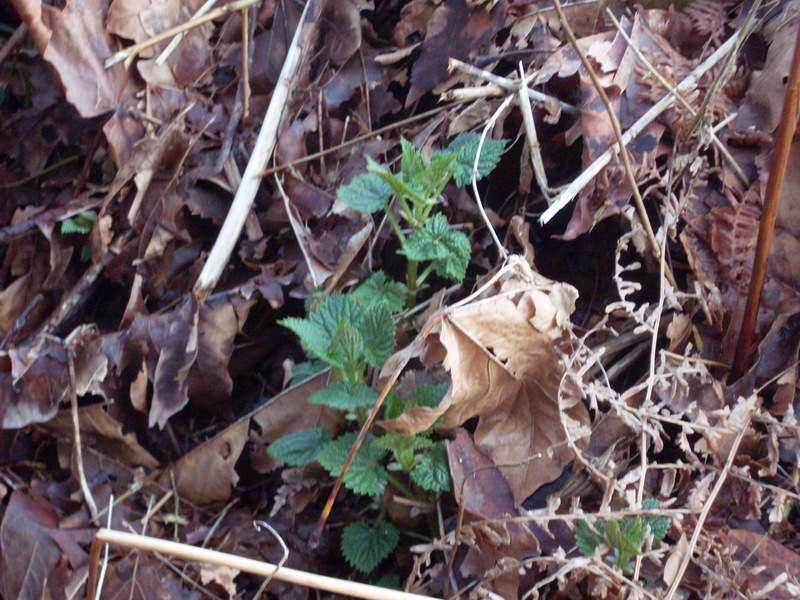 Think of some preliminary calculation of how much you or your family and friends might actually need, if you drink nettle infusion make a rough estimate of how many ounces you use daily and multiply by the how often you estimate you might drink it. 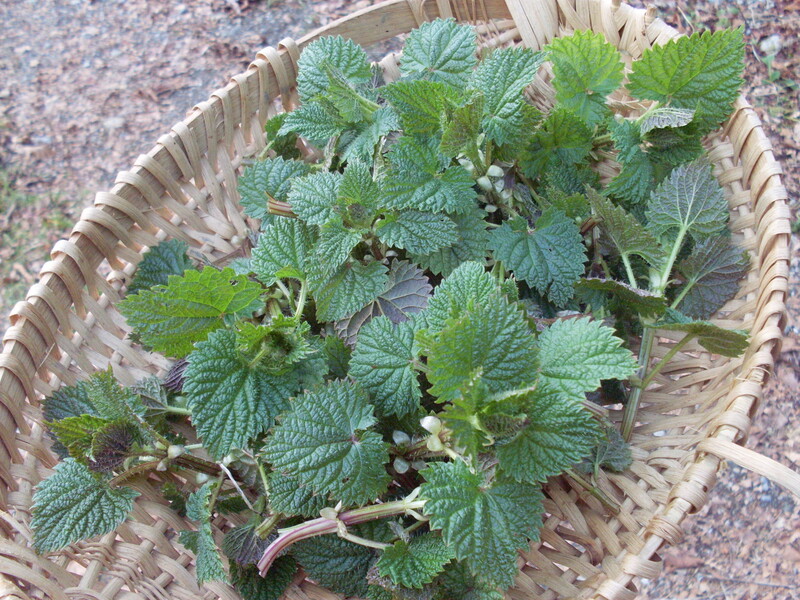 Balm of Gilead is a tempting plant to harvest and indeed most of the buds are harvested from fallen branches but still, will you ever use three quarts in a timely way? These are the questions I learned over time to ask myself, I hope I can spare you the experience of feeling the need to apologize to our beloved plants as I have had and afford you the opportunity to get another layer of medicine from the green world.